It’s almost February and that means Valentine’s Day is around the corner! I know we may be all gifted out from the holidays, but I find myself in a little slump this time of year and celebrating my love for my family is a fun type of pick-me up. I love giving gift to others, so I thought I’d share my favorite round-up of items I found. Kate Spade Earrings- These little studs are one of my favorite go to earrings. The perfect amount of sparkle that’s not over the top. Monogram Mug- I have this mug from a previous year’s version and I love it! It’s not too pricey and never goes out of style. Plus it’s dishwasher safe! Rose Bath Bombs-Perfect for a night or two of self-care. Only $10 for the bag! Macarons-My favorite sweet treat! Why not get something fancy for dessert this year?! These have 5 star reviews! Jade Roller-I swear by my jade roller for depuffing in the mornings. Pro top-Put it in the fridge the night before and it feels extra cooling on your skin. I use it for about 5 minutes every morning. Silk Pillowcase-I’ve been hearing rave review about this silk pillowcase. I already know this brand–I have their sleep mask and am OBSESSED with it, to put it mildly. Silk pillowcases are known to help ease hair breakage, help your skin, and keep you cool at night. Bonus, they’re usually priced really high, but this one is a great deal! Bronze Diffuser- This diffuser looks more like a candle and would make the prettiest accent to anywhere in your home. Use it for essential oils, which are much safer to breathe in than most candles. Heart Necklace-Ever since I spotted this necklace I keep coming back to it! It is such a dainty necklace with a little initial, that could be a child or loved one’s initial. For some reason they don’t have all the letters of the alphabet, but hopefully you can find yours! They also have a bracelet version that has more letter options! Candy Box- I don’t think candy needs much of an explanation, but here it goes an yway. This is a fun gourmet candy box with several different types of candy. You may even want to share with someone! The Softest Robe-Ever since I saw another blogger post about this robe, I’ve been hooked on this one! Super plush, has actual coverage, so you can wear it around the house. 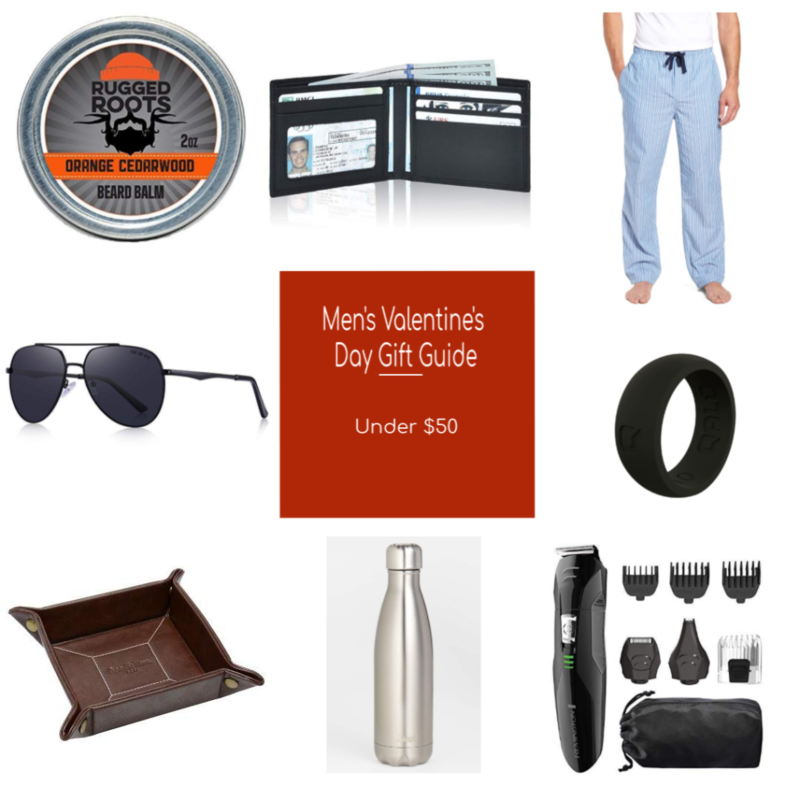 I thought I’d put together a guide for the guys in your life–with the caveat that there are so many different picks out there, so I did what I think my husband and his friends would like. RFID Wallet-Why is it that guys seem to ruin their wallets so quickly?! This is a great affordable option to replace your guys raggedy wallet, plus it prevents theft with RFID protection. Aviator Sunglasses-I don’t know about your SO’s, but mine loses sunglasses at least twice a year. I’ve just come to accept it at this point. So we buy cheaper sunglasses for him, just in case. These aviators are still polarized and don’t break the bank. Silicone Ring-These rings are a LIFESAVER! Not just for men, for women as well! If you or your guy lead an active lifestyle, these are the way to go! Or if your guy has a job where he can’t wear a metal ring for safety issues–these rings are awesome. There are lots of these out there, but this is my favorite brand! Faux Leather Tray- This is basically a ring holder for guys, but they would never want us to call it that! So let’s call it a leather tray. You know guys always have too much stuff in their pockets; this is a great way for them to organize it all and have t look halfway decent. Swell Waterbottle– These are THE best insulated bottles out there. Trust me, I’ve tried the cheap knockoffs and they don’t last long before breaking and not keeping liquids cool. Go with the original and this silver version is a hit with guys. Beard Trimmer-Another one for all those with a hairy guy! My husband has had this beard trimmer for a few years now and he is super happy with it. Now if I could only get him to clean all his beard trimmings up we’d be all set. So what do you think? 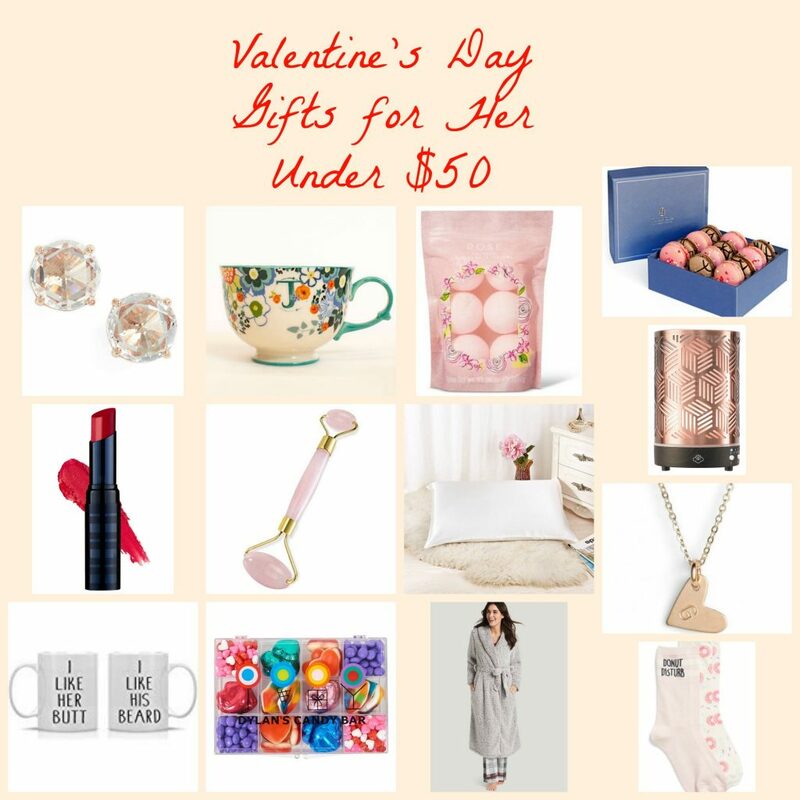 Will you be getting gifts for Valentine’s Day this year?? Sound off in the comments below.